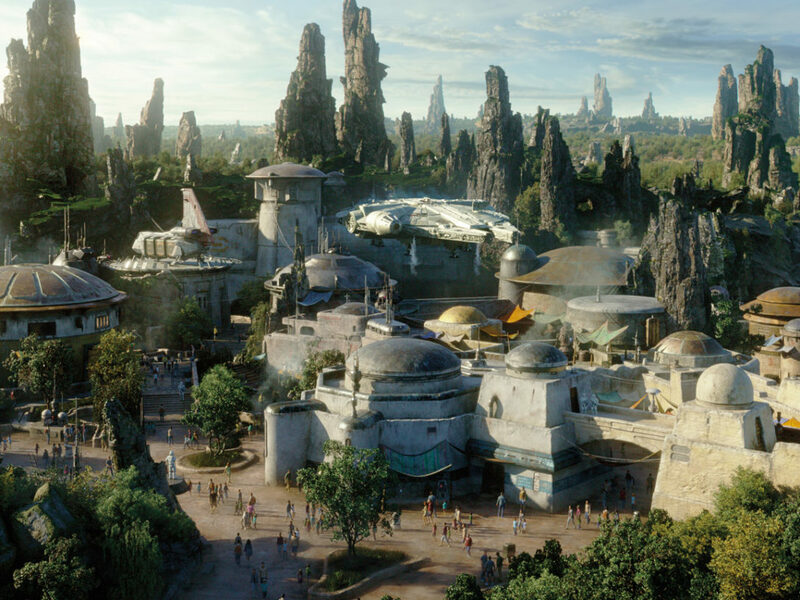 When we watch Star Wars, we tend to latch onto an impressive effect, a giant creature, or a memorable set as something visually memorable, and as something that expands the scope of the saga. 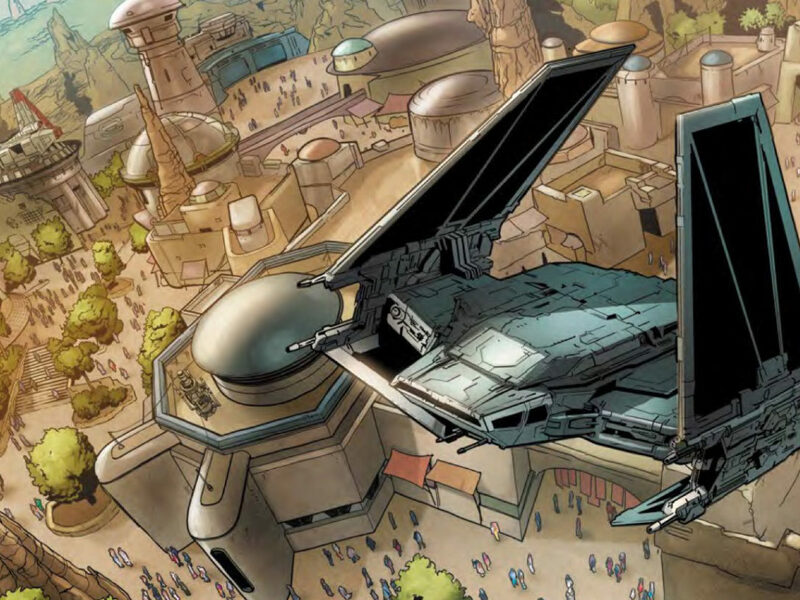 But there’s a more subtle element that is just as important in making the overall world of Star Wars believable: in-universe graphics and displays. In A New Hope alone, there’s the tractor beam monitor, which tells us that Obi-Wan has successfully freed our heroes; there’s the Death Star schematic, which lets us know how the rebels can destroy the Empire’s battle station; and there’s Darth Vader’s TIE fighter targeting display, a visual signifier of his space combat skills and ruthlessness. Details like these convey story but also make the setting feel real; moreover, if they’re seamless, it means their designs really work. 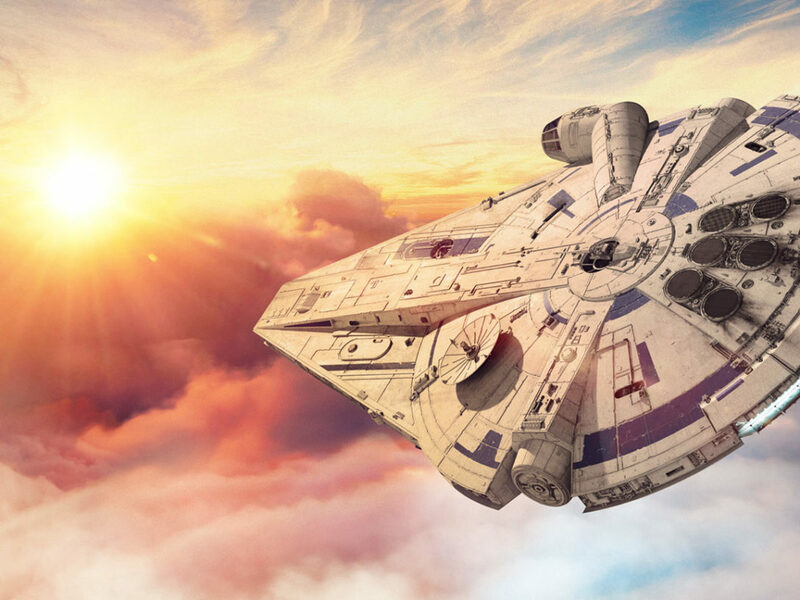 BLIND LTD has developed a staggering number of such images for all the modern Star Wars films, from First Order Star Destroyer blueprints in Star Wars: The Force Awakens right up to Han’s landspeeder dashboard in Solo: A Star Wars Story. 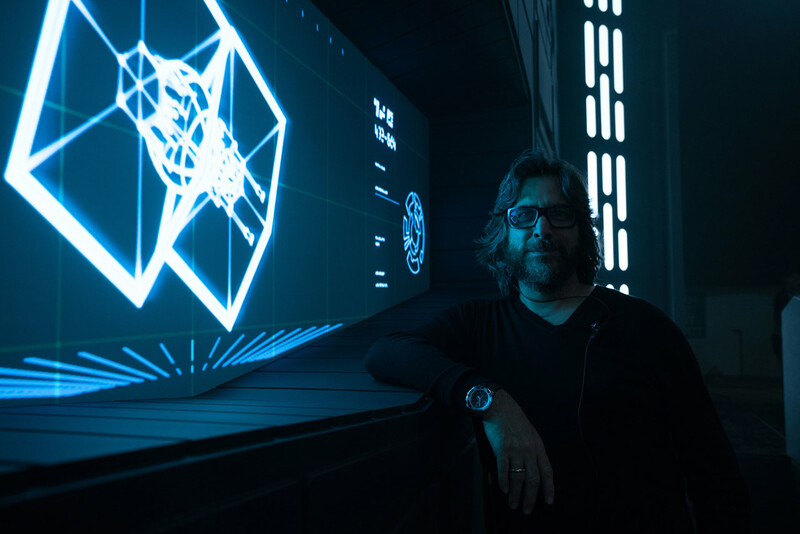 Through it all, BLIND’s work has been sublime, bringing Star Wars graphics into the modern era while still grounded in the look of the original and prequel trilogies. 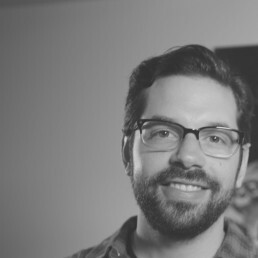 StarWars.com caught up with Andrew Booth, founder of BLIND, to discuss his company’s approach to Solo, how an L3 graphic connects to A New Hope, and why working on Star Wars is like going back to art school. Andrew Booth on the Solo set with a design that would please the Emperor. StarWars.com: Star Wars has a visual language, but each film has its own sensibility. So when you were starting work on Solo, coming up with what displays and graphics within its world would look like, where did you begin? And how did you drill down to what everything would look like? Andrew Booth: Star Wars definitely has a distinct visual language — and yes, each film certainly has its own sensibility. 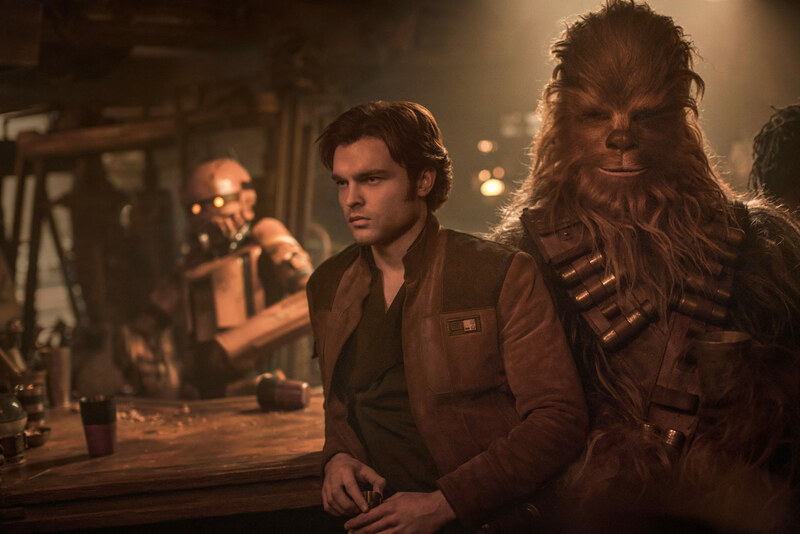 With Solo, our fourth successive Star Wars film, we originally thought “Ah, it’s like Rogue One,” as it’s set in a similar time period between Revenge of the Sith and A New Hope. And it was a surprise to find this Rogue One aesthetic didn’t feel right. Our approach with Solo’s computer graphics then became grounded in real-world decades and not splitting the difference between the original trilogy and the prequel aesthetics. We imagined that if Rogue One was made in 1976, we needed to take the graphic language for Solo back to the mid-’60s. When it came to that decade’s film references, we are definitely talking about 2001: A Space Odyssey, and the real-world Apollo space program graphics from the late ’60s. This felt much more like the graphic language that we were looking for. Everyone thinks computing or computer graphics is quite a modern thing, but we were referencing images from over 60 years ago. We were inspired by early computer imaging like the SAGE (Semi-Automatic Ground Environment) cathode ray radar system introduced by the North American military in the late ‘50s, and the abstract digital art pioneers such as John Whitney and Ben F. Laposky. Back then, just drawing a pixel was an engineering feat. What we realized through this research was these images had a beautiful fidelity — imagine an almost smoky trail “echo” that follows a moving graphic. When it came to Solo, we combined this echo with our very bold, simplistic vector-style graphics and created a design language that feels like it existed 10 year before the events in A New Hope. The result is a new version of Star Wars retro-graphics that has been aged — full of inherent flicker, dirt, and fuzz-ridden effects. 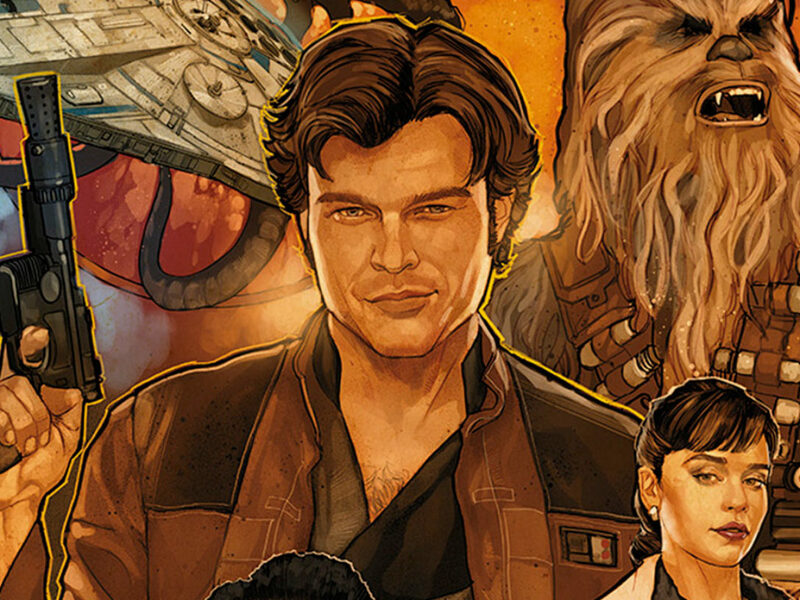 StarWars.com: Solo is much more of a grimy, gritty Star Wars film, with the exception of the Falcon. Did that impact your approach? Andrew Booth: Yes, it did have an impact on our approach. We spent a lot of time making the Solo graphics look used, out of focus, and a bit broken — we just generally made them not feel like a graphic that you would see on an iPhone or a laptop. Usually, we would draw up our computer graphics in Adobe Illustrator or Photoshop, a completely precise process. This time we hand-drew them, scanned them in, and then traced the drawing to create the graphic. What this gave us was a hand-made aesthetic, which we loved! 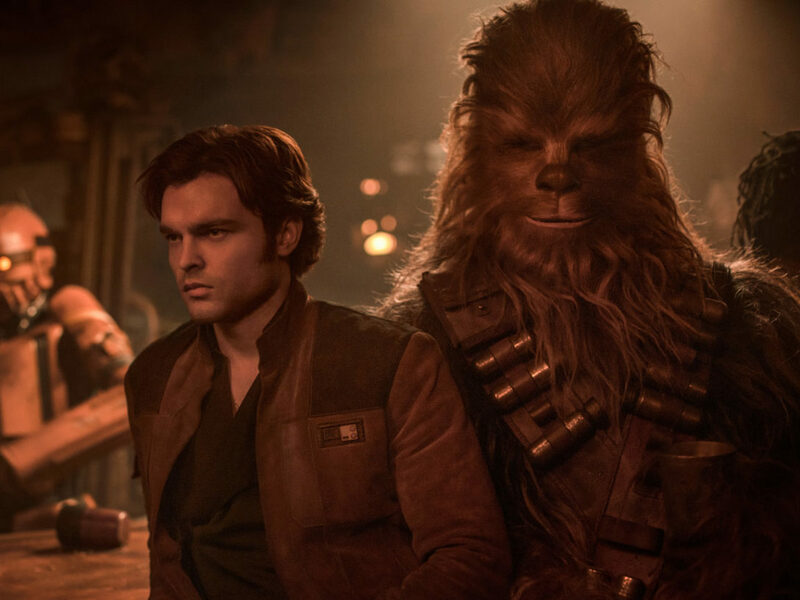 StarWars.com: A lot of BLIND’s work in Solo seems like it would fit right in with A New Hope. The triptych orbit screens on the bridge of the Raddus in The Last Jedi are a playful riff on the etched-glass panels found in the strategy room on the fourth moon of Yavin. As a child, I imagined the technicians moved the vector lines with their light pens. The star-map graphic featured on the Death Star command deck in Rogue One is a white version of the very same graphic used by Grand Moff Tarkin just before his death in the final scenes within the Death Star from A New Hope. And if you look closely, there is a graphic featured at the end of Solo that links to A New Hope in the cockpit of the Millennium Falcon. I was wondering if we could go through a few of your designs for the movie, and you could break down your approach to each and any design tricks you’d like to reveal? 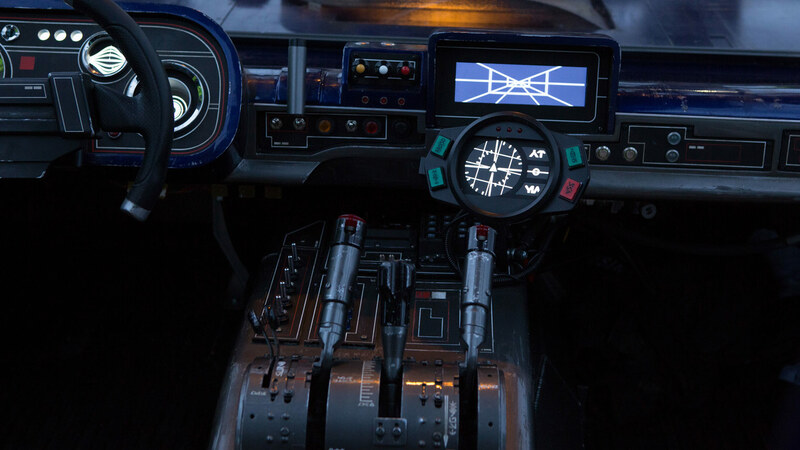 The dashboard of Han’s landspeeder, featuring displays for speed and hover thrust indicator, tunnel readout, rearview mirror, and map display. Andrew Booth: The speeder had to work driving at 80 miles an hour. Originally, we thought all of the graphics would be ambient loops, since we don’t have access to the car on set. We then had the idea that we could tie in a smart phone’s compass into driving the actual graphics. So we have an old-looking graphic, but it’s driven by the technology of the smart phone. We programmed it so that you can press the buttons and change what sort of map you’re looking at, and when they are actually driving, it moves around, giving it a little bit of interactivity and dynamism. 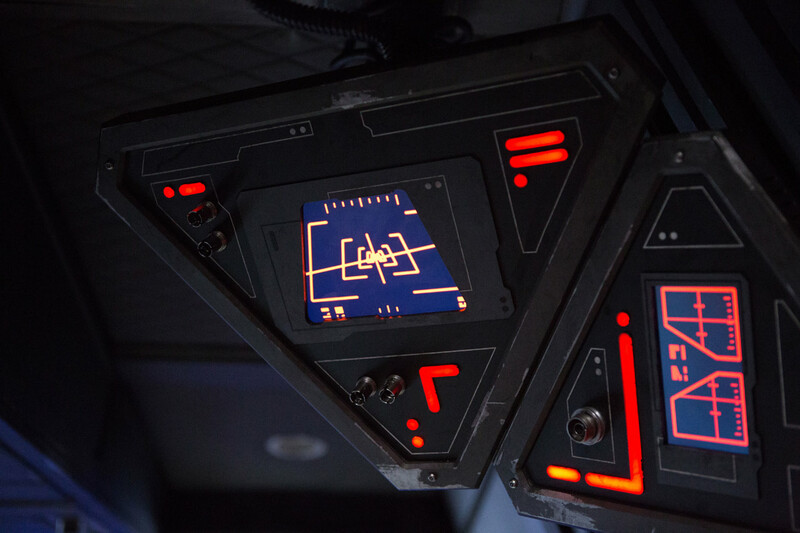 We designed a rear-view camera display based on the cel-animation style of the X-wing targeting device. Kessel’s computer and security-monitor-filled operations center became a showcase for our new Star Wars retro-graphics. 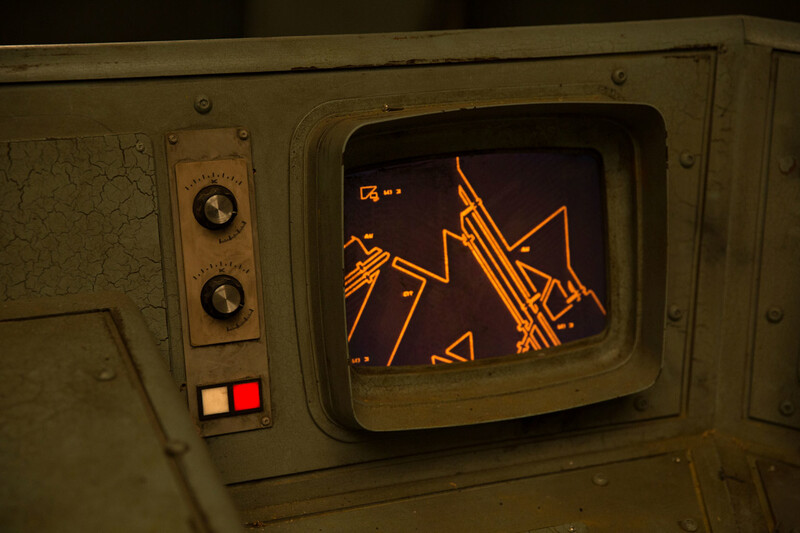 Originally Han and Chewie’s adventure to find the coaxium was going to be played out in a schematic, and on the center monitor you can see a top-down view for the Kessel mine schematic created for such purpose. We then discussed the use of CCTV [Closed Circuit Television] though security cameras. The CCTV image on the monitor right of frame is actually a photograph of the art department’s “white” model of the set. We then processed the footage to make it feel like it was CCTV shot from the ’60s. 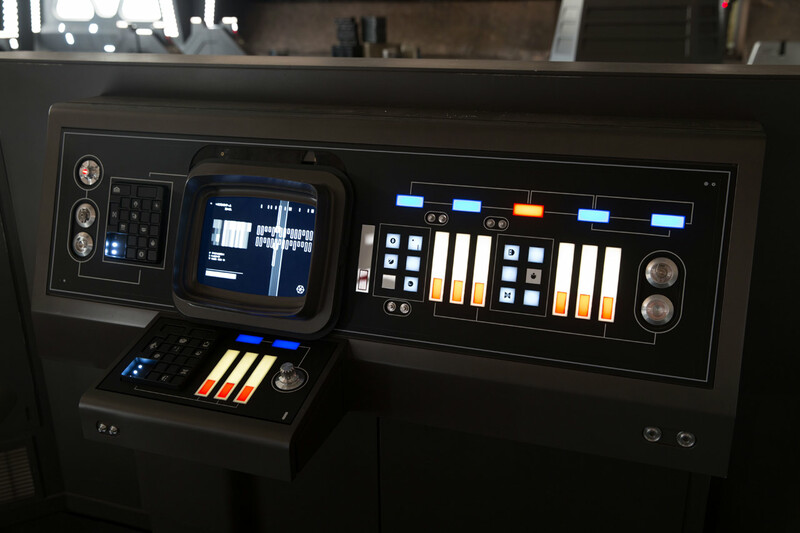 Another monitor from the Kessel mining facility. We also referenced Westworld (1973) for the mining control center, only because they have some really cool triangle graphics. The whole point of Kessel is that it’s triangulated, so we riffed on that. We used a tablet-in-a-prop approach for the Kessel Run sequence where Lando accesses L3-37’s neural core, extracted from the droid following her unfortunate demise. When the actors had to physically handle the core, a custom HDMI cable was used so that they could plug into a port in the set; this was tethered to a hidden PC. Donald Glover was literally holding L3 together, giving him something tangible to base his performance on. At the end of the movie we see Han and Chewie back in the Falcon and if you look closely in the rear, you can see the legacy display of L3 calibrating in the background — a direct connection to A New Hope, which I mentioned earlier. 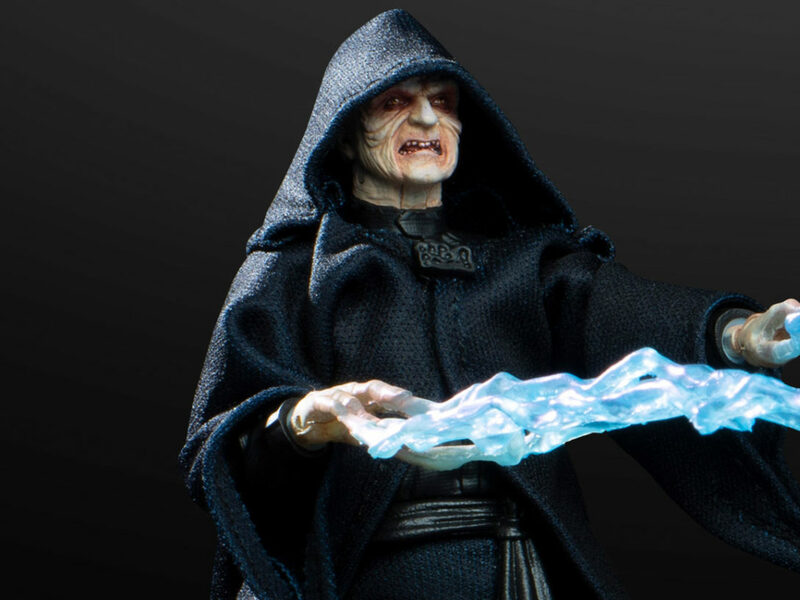 StarWars.com: Your work really helps to complete the illusion of the movie in a subtle but important way. 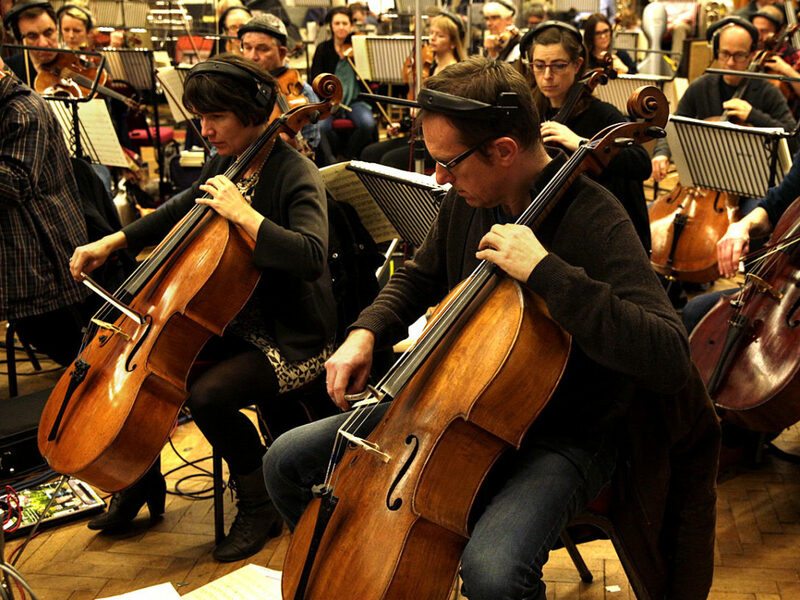 What are your reflections about working on Solo and Star Wars overall? 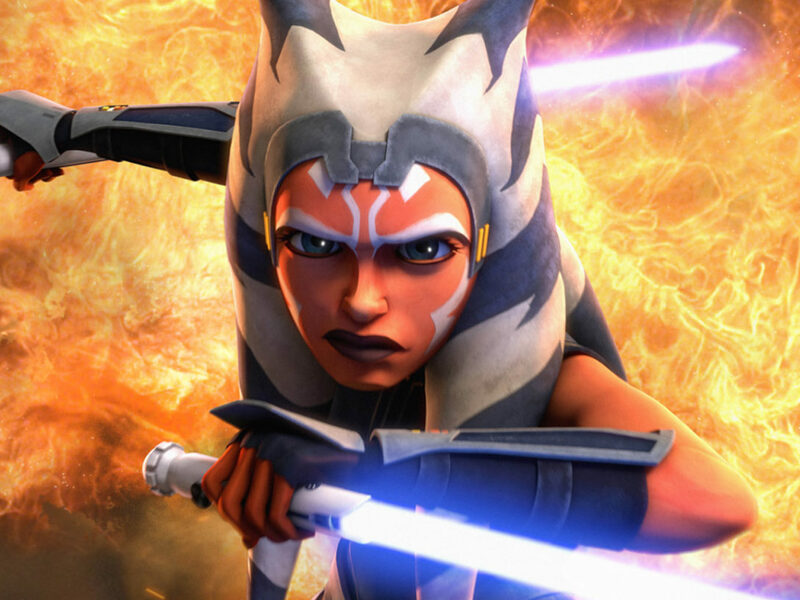 Andrew Booth: George Lucas believed that Star Wars designs should not call attention to themselves, so I’m super pleased to hear that our work contributes to these movies in a subtle way. We always make sure that whatever is designed, it adds to the film and doesn’t subtract. It is our hope that the graphics are only noticed when they’re serving a function, and when it is an ambient element it should be virtually invisible. All filmmaking is an illusion and we are thrilled that our computer graphic work, photographed in-camera, helps to build a completely tangible universe. For me as a creative, it was like going back to art school and getting a Masters degree in the aesthetics and sensibilities of what graphics looked like in a galaxy far far away. The Star Wars films are such enriching experiences, and I am thrilled to be part of something as an adult that touched my heart as a child. The beauty of Star Wars films is that you can watch them over and over again finding new things each time — there is an inherent, layered richness to the Star Wars universe and this is why we can continue to look at it from many angles and find infinite possibilities.